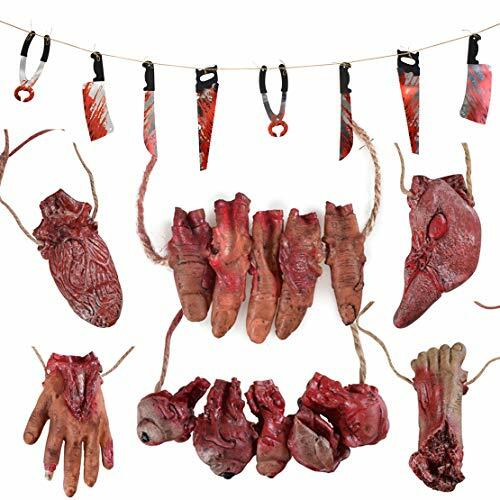 (3 pcs/set) Assembled, 9 ft. x 6 ft. Simple assembly required. You've been told, but you never listen. 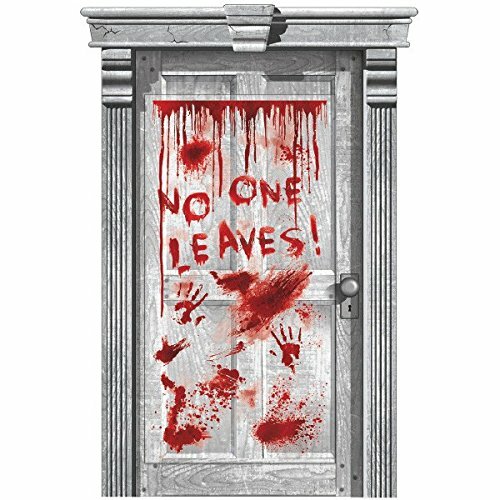 This gory Asylum Dripping Blood Door Decoration should remind you that “No One Leaves” this frightful fun event. Go crazy on the decors. These can be used indoors or outdoors, but best if they're in dark and dank places. 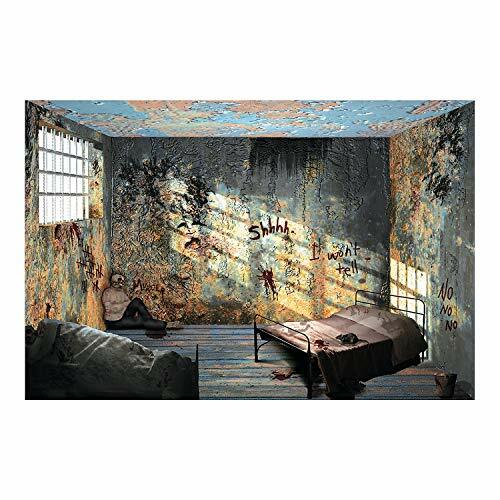 This décor is made of lightweight plastic and is easy to mount with Sticky Tack (sold separately) or double-sided tape. This old abandoned place is inviting, isn't it? 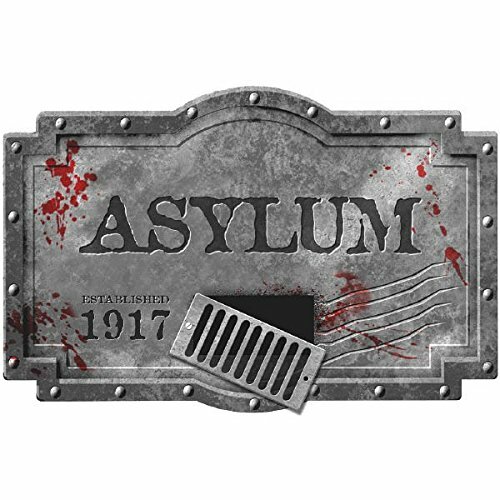 Just one look at the Asylum Sign will entice you to come right in. It will be warm and cozy; the party is just waiting for you. Go crazy on the decors. These can be used indoors or outdoors, but best if they're in dark and dank places. See the cries for help. They might be yours. 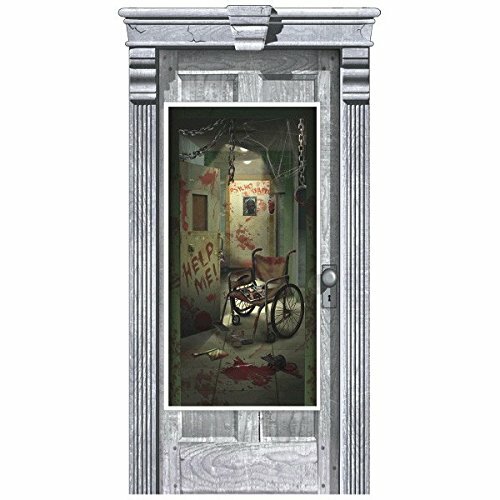 This Asylum corridor of doors door decoration will send chills down your spine. Go crazy on the decors. These can be used indoors or outdoors, but best if they're in dark and dank places. 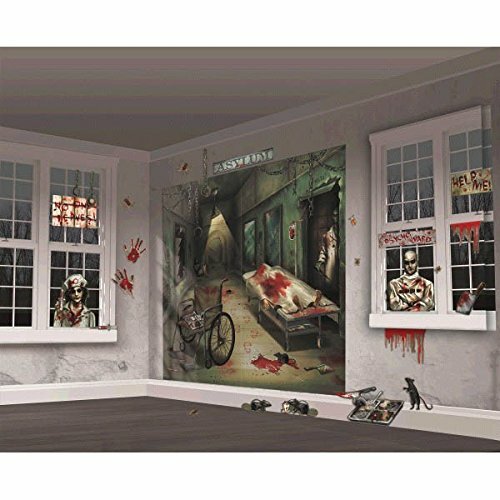 This décor is made of lightweight plastic and is easy to mount with sticky tack (sold separately) or double-sided tape. Only the brave and the insane will dare. 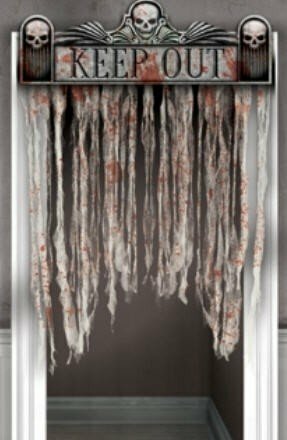 You're Mad enough to pass through this Chop shop bloody doorway curtain. Go crazy on the decors. 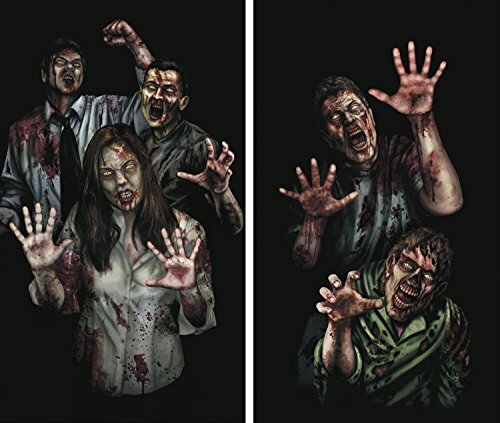 These can be used indoors or outdoors, but best if they're in dark and dank places. This décor is made of cardstock and lightweight gauze and is easy to mount with sticky tack (sold separately) or double-sided tape.